If games, like many courses, are about mastering challenging tasks at increasing levels of complexity, then gamification means exploiting that shared dynamic in our instructional design. 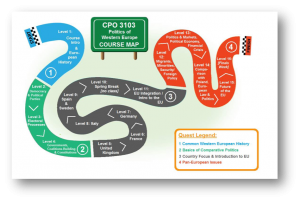 Dr. Lukas K. Danner, our next featured Faculty Choice Award winner, won the 2017 Top Score in Gamification for his CPO3103 Politics of Western Europe. Insider caught up with Professor Danner to talk about his award and top-notch gamification. 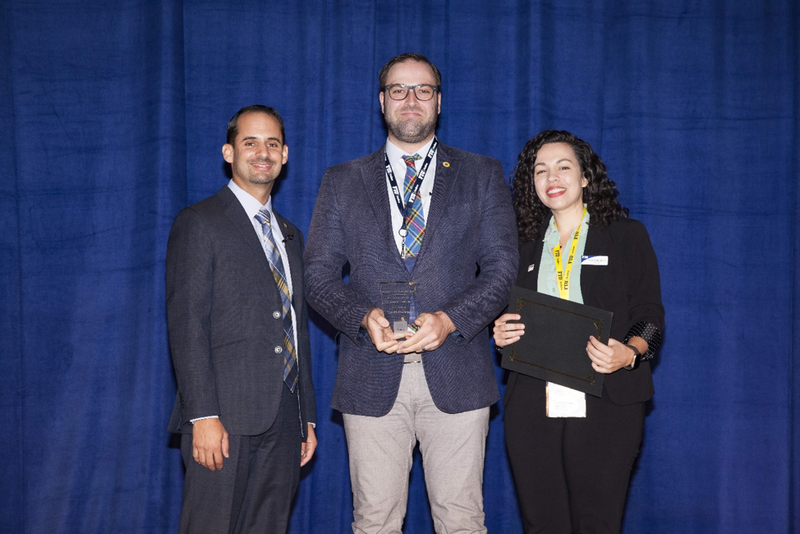 For announcements of the 2018 Faculty Choice Award winners and for the very latest in online learning, be sure to register for FIU Online Con 2018. Dr. Lukas K. Danner is a research associate for the Miami-Florida Jean Monnet Center of Excellence and lecturer in the Department of Politics & International Relations. He has been teaching online since 2016 and works with Instructional Designer Nina Crutchfield. How Has The Faculty Choice Award Benefited You? Since the FIU Online Faculty Choice awards are determined by a committee of my peer instructors, the true benefit is knowing that what I am doing is respected by my peers and deemed worthy of an award. I have been a strong proponent of gamification since first teaching online in 2016. All my courses are gamified in some way. Since receiving the award, I have continued gamifying my courses with greater confidence. What’s Working with Your ID Like? Nina and I have worked together since 2015 and we developed an efficient professional relationship. She has taught me so much about overlooked course aspects like course navigation that are very important for students. Nina always has amazing ideas when it comes to course design—not just those related to gamification but also to student engagement, innovative use of materials, affordability, and other determining factors. Our collaboration process has become much more seamless over time. Nina is a dedicated instructor designer. She has an exceptional work ethic along with superb time management skills. Since Nina and I both go the extra mile and because we respect each other as equals, it has been a very successful, exceedingly efficient, and (as it turns out) award-winning relationship. Which Are Your Favorite Course Features? The features I am most proud in my course are those related to gamification. I truly believe they speak to the younger generation of students. Gamification helps students stay motivated, especially in online classes. The idea is to leverage students’ excitement and lucid drive through a number of gamified means. One such visual means is that of a gamified course map. 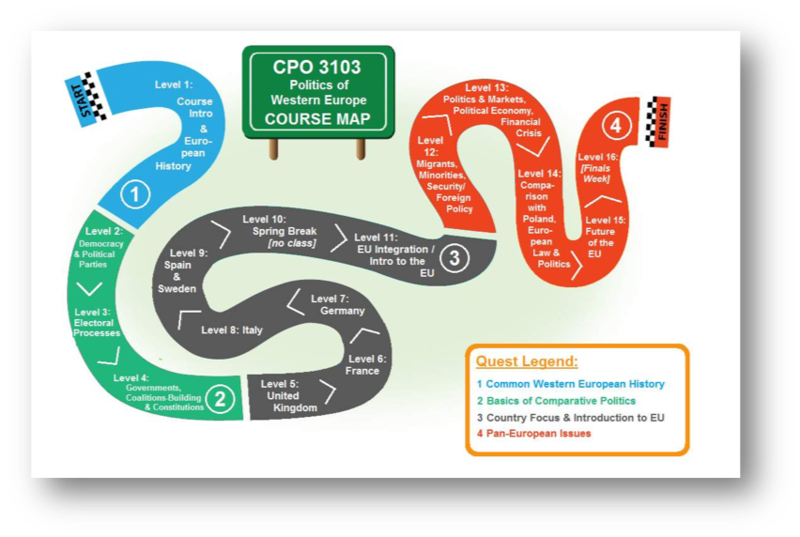 The primary purpose of the course map is to give the student an easily accessible, visual overview of the entire course and its topics. Although gamification features are now a signature part of my online courses, I am also proud of a few other non-gamified features. One such feature is making use of the FIU Online Green Screen video studio to record my course welcome videos. Talk to your ID beforehand and work with them to submit the best possible nomination. Gamification is a rather new area in online teaching. There are always new tools and software entering the market to help improve course design even more. Besides gamification, I am working together with Nina on meeting standards for FIU Global Learning, FIU Affordability Counts, as well as Quality Matters. All these designations will ensure that the courses I teach provide the best possible learning experience to our students.